Is It Time to Replace the Heater in My Home? Home Is It Time to Replace the Heater in My Home? Should I upgrade the furnace to a more energy efficient model? Q:I recently purchased a 1,720-square-foot home with a 9-year-old gas furnace rated at 80 percent efficiency. The rise in gas heating costs from the gas company has me wondering if I should upgrade the furnace, or maybe even convert to a different type of fuel. Maybe even a high efficiency Heat Pump Can you help me decide? A:To make your decision, you need to weigh a few factors: your furnace efficiency, the cost of fuel, and the “heating load” of your house—that’s the amount of energy (BTU’s) required to maintain a steady 65-70-degree temperature indoors. Fuel costs are a real wild card these days, though, gas is competitively priced, so I don’t think it makes much sense to switch to oil, Heat Pump or electric Heat. Also, your furnace is already pretty efficient, though not as good as the best condensing-type 90-95% gas furnaces, which capture up to 95 percent of the fuel’s energy. 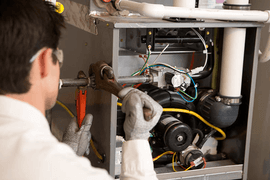 If your furnace were old and worn out, your decision would be easy—buy a more efficient model—but the average life of a well-maintained furnace is 20 years, so yours still has plenty of life in it. 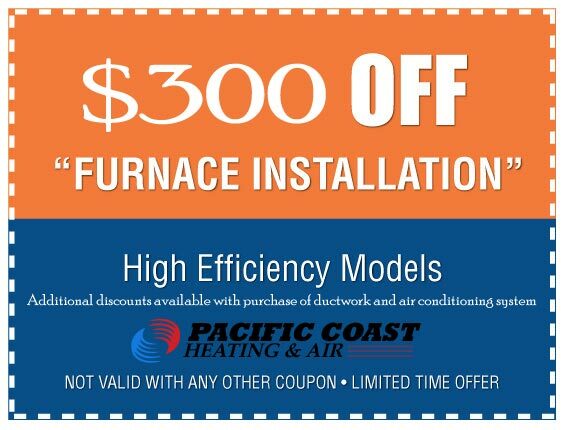 If you did replace your furnace with a 95 percent efficient system, you’d cut your heating bills around 20 percent. To see if it’s worth spending the money, add up the fuel bills for last winter—your gas utility will have records—then multiply that sum by 20 percent. Divide that figure into the cost of buying and installing the new system, about $3,000 or so depending on installation requirements and city codes, and you’ll see how many years it will take to recoup your investment in the heater you purchase. Given the size of your house, I doubt you’ll see a payoff anytime soon, even if you add 50 percent to last year’s bills to account for this winter’s projected increase in natural gas costs. Of course, every dollar that gas prices go up will shorten the payback time, but prices could also fall and lengthen the payback. If it were my house, I’d first look for ways to reduce the heating load. A properly insulated house will help along with looking for air leakage in between doors and windows. That will probably uncover some relatively inexpensive upgrades. Also, ask the company that maintains your furnace about ways to improve its performance. For instance, you might be able to replace a standard pilot light with electronic ignition or seal the joints in your leaky ductwork. These minor improvements will help reduce heating costs and make you more comfortable without draining your bank account.